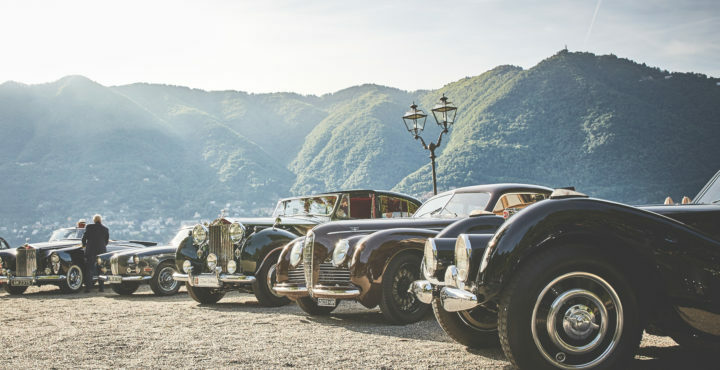 At the end of May every year, enthusiasts for historic cars and motorcycles come together from all over the world to celebrate the Concorso d’Eleganza Villa d’Este. 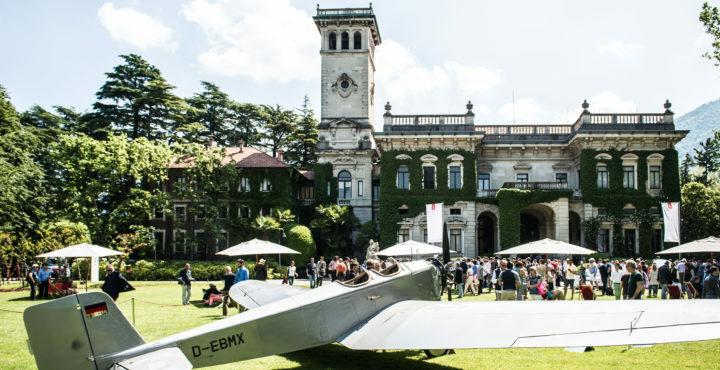 The grounds of Villa Erba will once again be transformed into a unique and exclusive setting where you are privileged to admire the finest historic vehicles and motorcycles of their eras. Join us at an extraordinary event and meet the participants in this exclusive occasion. Every two years, the famous auction house RM Sotheby’s comes to Cernobbio as a guest. Up to 70 classic automobiles will come under the auction hammer on the Saturday evening. Before the auction takes place, the precious rare treasures will be on view in the grounds of Villa Erba from 10.00 on the Friday morning. Entry is free of charge. Visitors will be able to view the auction itself live at the venue on the Saturday evening, or follow it on YouTube or on the website of RM Sotheby’s. On Saturday, you will see the rare gems on two wheels putting in grandstand performances. You are cordially invited to admire this year’s Motorcycle Entrants and see the Jury at work. The participants will be on hand to discuss all aspects of their motorcycles.The competition cars from the Villa d’Este will be on display at Villa Erba only on Sunday. In the afternoon you have the opportunity to watch the famous Motorcycle Street Run through Cernobbio from Villa Erba to Villa d’Este. A Special Exhibition in the Padiglione Centrale of Villa Erba completes the programme, which will also be open on Sunday. This very special venue will showcase a selection of historic jewels and priceless masterpieces for the vote to choose the most exquisite historic cars and motorcycles. The competition cars from the Villa d’Este will be on display at Villa Erba only today. Up to 70 vehicles will be auctioned by RM Sotheby’s. Public referendum for the “BMW Group Italia Trophy”, the “BMW Group Young People’s Trophy” for Historic Cars and the “Concorso d’Eleganza Design Award” for Concept Cars & Prototypes. The Motorcycle Concours will take place and finds its highlight in the presentation of this year’s winners in the award ceremony. Take a seat in the grand stand and join the famous award ceremony for the class winners of the Historic Cars & Concept Cars. The award ceremony will be followed by the illustrious parade of all the Historic Cars taking part in the exclusive Concorso d’Eleganza in a spectacular pageant choreographed in front of the jury and the public audience. Important information for the public days at the Villa Erba. 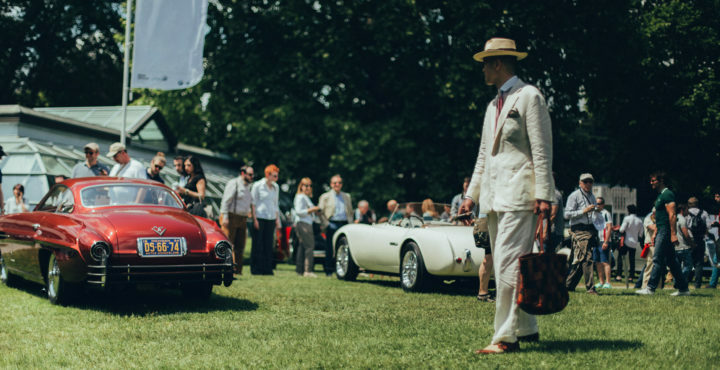 The safety and security of visitors to the Concorso d’Eleganza Villa d’Este is a top priority at all times. We request your understanding and ask you to read the following information. Bringing items into the venue. Items of baggage up to 30x40x10 cm may be brought into the venue. Tickets will be checked before entry to Villa Erba. Bags and jackets will also be checked. For reasons of safety and security, we also ask you to refrain from bringing large bags, suitcases and items of baggage, as well as bulky items and/or hazardous items into the venue. Film, sound and video recordings. When you visit the Concorso d’Eleganza Villa d’Este, you consent to being photographed or filmed at the event (and you are similarly deemed to give such consent for any third parties accompanying you). You further consent to such photo and film recordings being used for documentation, promotion and/or advertising purposes without any restrictions whatsoever on time or territory.